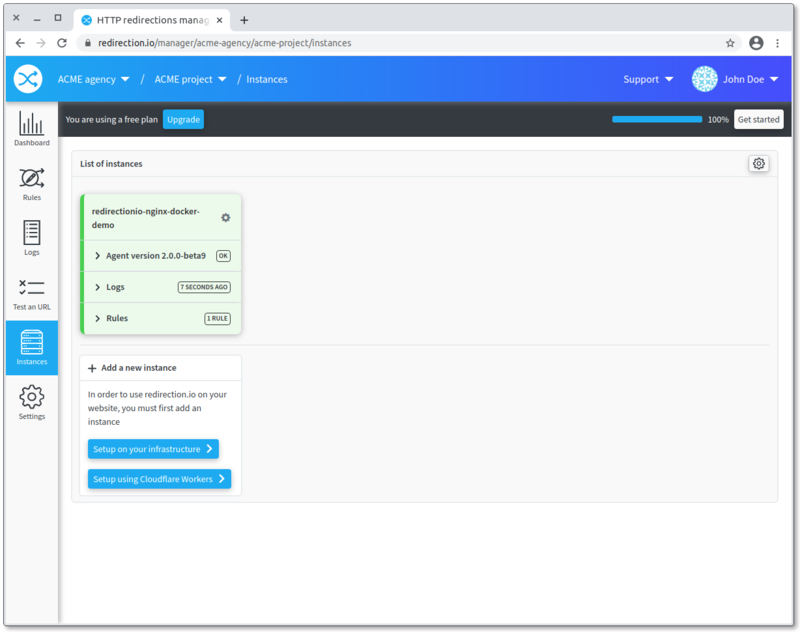 redirection.io agent instances are in charge of processing each request to find an applicable action to execute (a redirection, a SEO override, etc.). 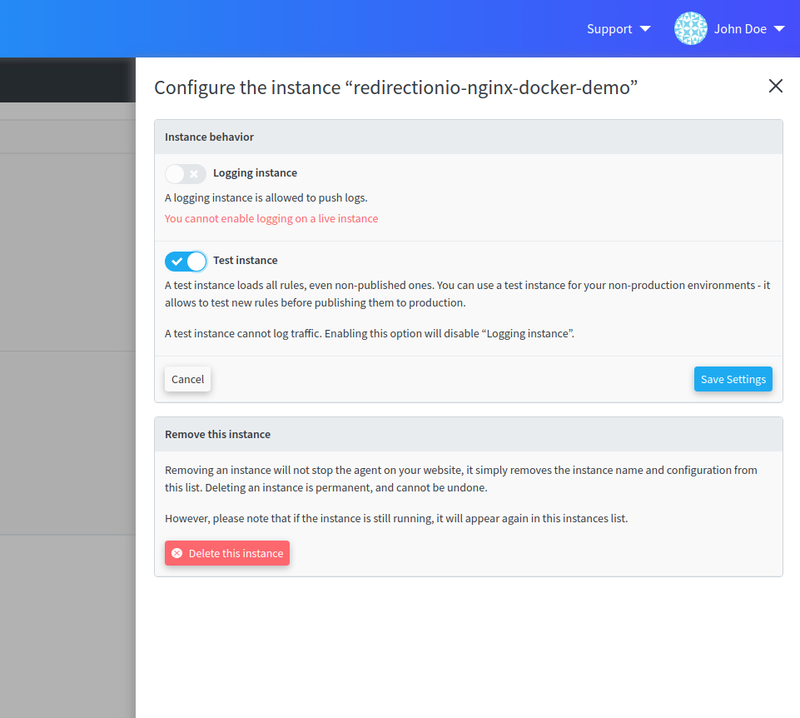 They also log all requests and handle the dialog with redirection.io APIs. the agent version. We strongly advise you to keep your agents up to date, so that you can use all the latest features of redirection.io. Our changelog gives informations about new releases. the logging status: this section provides details about the last logs reception. If your instance did not log since more than 10 minutes, it will display an alert. the rules status: this section explains if the agent is up to date and how many rules is has loaded. If your agent did not update since a long time, this section will display an alert and provide help about how to fix the issue. Our paid plans come with a limited number of logging agents. You can have as many instances as you want, but we only allow a maximum number of those to log traffic. If your infrastructure layout uses more agents than your plan's logging agents count, you can choose to (de-)activate the logging feature instance per instance. From now on, this instance will continue to fetch redirection.io rules and properly redirect traffic, but it won't send logs back to the manager. Take care, if you use the logs for your SEO analysis. In those cases, being exhaustive is always a good idea, and you should prefer to collect logs from all of your instances. This will allow for a more precise analysis, particularly if you target crawlers behavior. 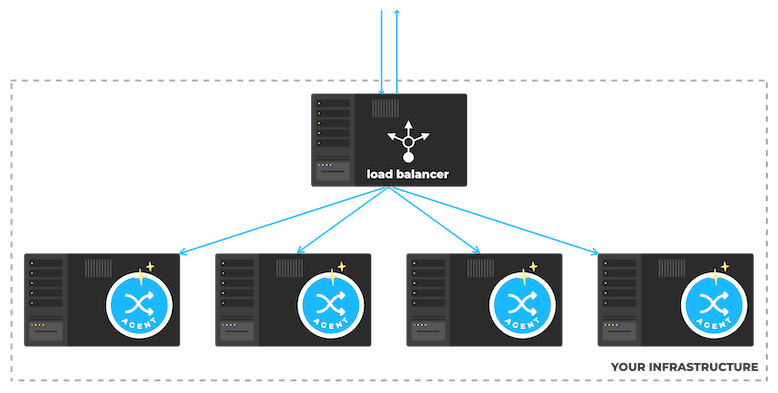 When maintaining a web stack, it is quite common to have a pre-production infrastructure, to run tests before deploying in production. As for other parts of your stack, you may want to test and try redirections in preproduction before applying them to your production. This is exactly what the "test mode" allows: by enabling this mode on an instance, it will load all the rules of the ruleset, even non-published ones. From now on, this instance will load the "live" ruleset: newly created rules will be applied in seconds on this instance, even if they have still not been published. Test instance cannot log traffic. 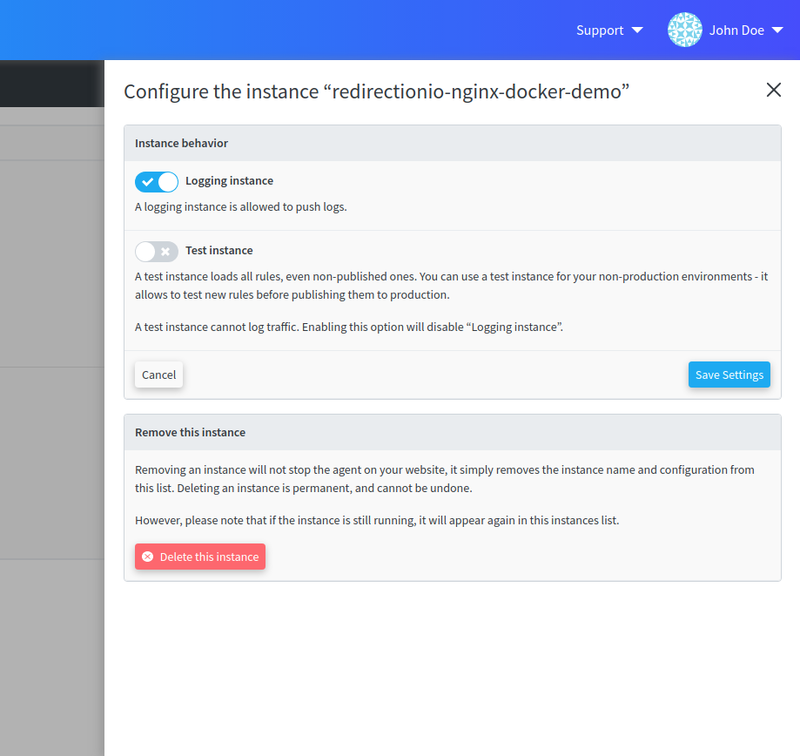 If you want to log traffic from your preproduction environment, then you have to create a separate redirection.io project.